A couple of decades ago, Mort Zuckerman, the Montreal-born New York media and real-estate mogul, was named a Commandeur de l’Ordre des Arts et des Lettres (an Order of France) in recognition of his significant contributions to the arts, literature, and the propagation of these fields. The investiture took place in Paris, so the US Ambassador to France, Pamela Harriman, decided to host an elegant dinner at her official residence next to the Elysee Palace to celebrate the occasion. 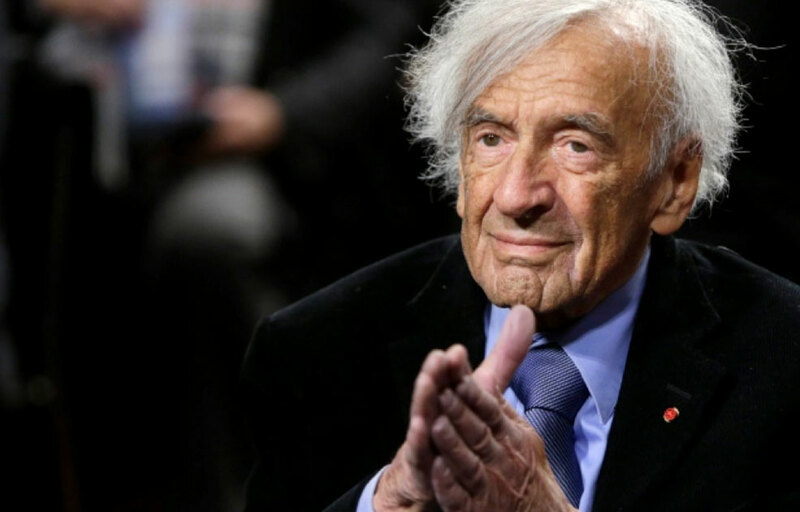 The guest list featured a number of high-profile literati that included Elie Wiesel. It also included me. Elie Wiesel, acclaimed writer, professor and Nobel Peace Prize Laureate, was born in the small town of Sighet in Transylvania, where people of different languages and religions have lived side by side for centuries, sometimes peacefully, sometimes in bitter conflict. In 1944, after the Germans had invaded Hungary, Wiesel and his family were deported by the Nazis to Auschwitz/Birkenau where his parents and younger sister died. Elie and two older sisters survived. At cocktails, I addressed Wiesel in Hungarian. He said he did not speak the language and added that he did not like Hungarians because of the way they had helped the Germans to round up Sighet’s Jews for deportation. “Not a single Hungarian helped us,” said he. This made me feel very bad. During dinner, the whiff of the soup made me so violently ill that I could not avoid being sick all over myself. The staff escorted me out and did its best to clean me up, then made me comfortable in front of the fireplace in the drawing room. Within minutes, my hostess, Pamela Harriman, appeared at my side. “How do you feel,” she asked. I was impressed by her graciousness of having left her guests at the dinner table to make sure that I was all right. “Very much ashamed…in fact mortified,” I replied. “Don’t fret about it, it could happen to anyone…” she said and, noticing the look of incredulity on my face, pointed out that the same fate had befallen President George W. H. Bush at a Japanese State Dinner in January 1982. She patted my hand. “Enjoy the view while you can,” she whispered conspiratorially and pointed at the painting over the mantelpiece. Then she got up and rejoined her guests. I recognized the picture immediately: Vincent Van Gogh’s White Roses, an incredibly beautiful work of art almost never exhibited in public in those days. The Germans invaded Hungary on March 19, 1944, a Sunday – my live-in Austrian governess’s day off. But she did not show on Monday either. In fact, I never saw her again. When I asked my mother in May, after the war was over, about what had happened to Tante (my name for my governess) and why she had never returned to us, my mother explained that Tante had gone back to Vienna to reclaim her pharmacy. So, your mother was one of the Righteous – knowing you, I could have guessed. Great story – how did Wiesel react? A very gentle response to a generalization that condemned a whole nation. A timely reminder of the dangers of oversimplifing complex issues and then building oversimple solutions on them. A real danger today. Thanks for telling this magnificent story (I don’t mean the indigestion and throwing up bit !). Seldom Good News are told and shared, and thankfully there’s still many people of goodwill as there was before. On the other hand bad news they say have wings ! Interesting story! I like your new website, the story with Che was also a good one. I send you my best wishes from Hungary! Yad Vashem in Jerusalem, the leading Holocaust authority, lists 837 Hungarians among the Righteous of the Nations, in other words, those non-Jews documented to have saved Jewish lives during the Nazi period. They were so recognized as far back as 1964, right up to 2015. Yad Vashem lists a total of 26,120 Righteous from all countries to date. I can vouch that its criteria are very rigorous. Incidentally, 587 Germans are among the total.